Aikatsu Stars! – 008 | Mezashite! 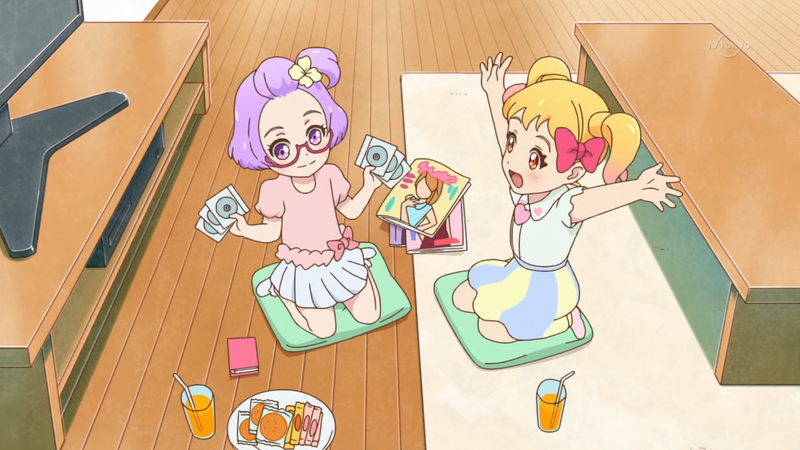 Yay, let’s watch Aikatsu DVDs together! Sorry, I promise to use an image with Mahiru the next time she shows up. That weird word Koharu says is “troche”, which I’ve never heard before. Also I don’t understand the difference between that and a cough drop. And yes the lyrics for the song are kind of weird, just enjoy the visuals anyway. I can’t say I’ve ever heard ‘troche’ before now either; I’ve always heard cough drop or lozenge. Apparently they are more or less synonymous but troche seems to specify a circular shape whereas lozenge more properly describes a diamond shape. Thank you with all the heart for your amazing job! I love watching Aikatsu Stars!, and I want to thank you for every single dreamy episode you translate! Oh, sorry to bother, but may you change “Laura” in “Rola”, please? As you can see, it’s her official name. Let me elaborate more, since I spoke with somebody else about this recently. One person has brought up a Japanese model named “Rola” https://en.wikipedia.org/wiki/Rola_%28model%29 as an example of how to spell her name. However, my response to that is the singer Origa https://en.wikipedia.org/wiki/Origa. Although she is Russian and her real name is Olga, her Japanese agency deliberately made her name spelled “Origa”, so as not to put off her Japanese audience (source: Anime Boston 2014 Q&A Panel I attended). This was done in order to allow for her to more easily be accepted not just by fans, but by other Japanese producers who would be turned off by foreign names, because Japan is still rather isolated with xenophobic undertones (also from the interview). Therefore I believe that in our subs, “Laura” is the proper way to present her name for our English-speaking audience. Also, it’s just the decision we made because we personally wanted to, which was stated before. I do understand what you say because Japanese people often make things like this with foreign names and they even write wrong things instead of the right and original ones (Gundam SEED and Cinderella Girls are example of incredible ingnorance. Sorry for the way I’m saying this refering to Japanese ones, but still…). They also change spelled names suddenly. I’m pretty sure you’re right about Rola, but the only thing we know at the moment about her name is that they chose to make it official like that, we don’t know if it’s from fantasy or it was put in a wrong way as usual. 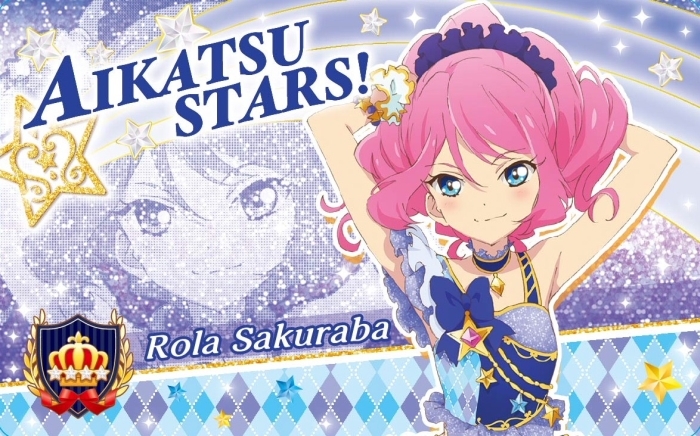 Anyway, I do understand that this is a decision of yours to use Laura instead of Rola because that makes sense, I have nothing to say about. Everyone can do what they prefer. I’m grateful to have the chance to watch this show and I know how hard you work for us, so the only thing I can say is “thank you again”. I specified about Rola because I didn’t know that you already know, I thought it was a right thing telling you about this. So if it’s your decision I can only respect it. Thank you again for all!